Decompression dives to 50 metres and oxygen for your deco stops… You’re now at the level of the Tec 50 Diver. During the Tec 50 course, you will use our top-of-the-range Scubapro tec diving equipment, make actual decompression dives as deep as 50 metres, use Enriched Air Nitrox and oxygen for decompression and use desk top decompression software to create custom dive tables and plan your dives. 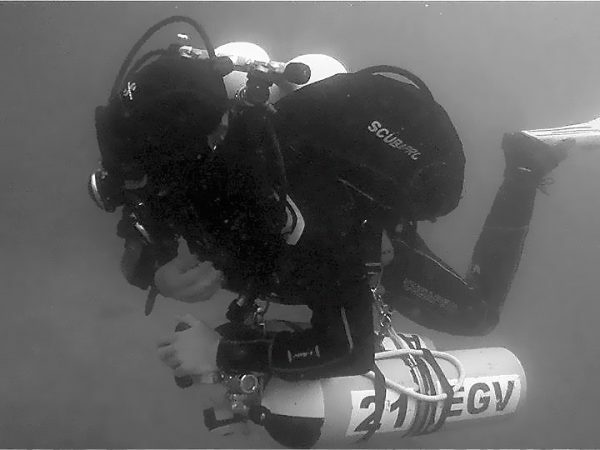 The end result is you will qualify to make technical decompression dives independently. The Crew Pack includes a manual, dive planning checklist and dive planning slate.